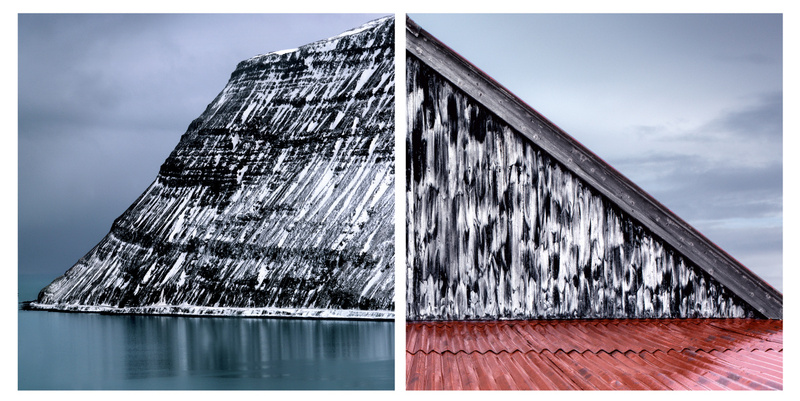 The exhibition Metamorphosis showcases the work of Sigurgeir Sigurjónsson photographer. Sigurgeir Sigurjónsson, born 1948 in Reykjavík, started to look at life through the lens of a camera around the age of fourteen. As a teenager in the Reykjavík of the Sixties some of his earliest pictures were of his favourite bands and singers on the burgeoning music scene (which in 2010 was portrayed in his book Poppkorn). During that time he discovered that investigating his country and its people as reflected in the art of photography was to become his future. After studying photography in Iceland in 1965-69, he went abroad for further study at the Christer Strömholm School of Photography in Stockholm in 1970-71 and in San Diego, California in 1980-81. Since returning to Reykjavík, Sigurgeir has published numerous books of photos: Svip-myndir in 1982, Hestar (Horses) in 1985, and his first collection of landscape photography, Landscapes in 1992. These were followed by some of the most popular photo books about Iceland and the Icelanders ever published: Iceland the Warm Country of the North in 1994, Amazing Iceland in 1998, Lost in Iceland in 2002, Icelanders with Unnur Jökulsdóttir in 2004, Found in Iceland 2006, Made in Iceland 2007, The Little big book about Iceland 2009, Lost in Argentina with Sæmundur Norðfjörð 2010, Poppkorn 2010 with Einar Kárason, Volcano Iceland 2010 and Earthward 2011, Iceland Small World 2012, Planet Iceland 2014, Iceland 2015 and Planet Iceland ( small version) 2016. Sigurgeir is truly one of the foremost and productive photographers in Iceland and his work is widely known. In Metamorphosis he turns to the city and the built-up countryside, comparing and contrasting these motifs with his photographs of the wilderness. We see buildings being torn down in Reykjavík, gigantic machines gnawing away at concrete walls until there are nothing left but a gaping hole that looks, in an aerial shot, like an open-cast mine. We see abandoned farms, run down but still showing signs of their long-gone inhabitants. The images are sometimes brutal, almost violent, but the demolition also reveals surprising beauty in details and accidental perspectives that open up as the building is gradually reduced to rubble.